The Primary Treehouse: Lighting the way with KINDNESS! 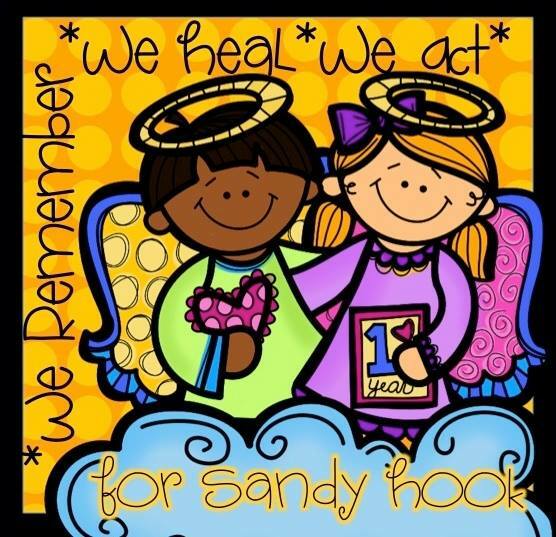 Today marks the one year anniversary of the tragedy that took place in Sandy Hook elementary school. Today we remember how very precious life is. We hug our loved ones a little bit tighter and appreciate our time with them. With the school shooting that took place in Colorado yesterday, I think it makes today all the more difficult. Each time something like this happens, I am shocked. I am terrified that this may become the norm rather than a terrible rare tragedy. It is a confusing, heartbreaking, scary time. As teachers, we know that we would do anything for our students. They are our children. But it makes us afraid that we may one day have to face this in our own classrooms. Would we be strong enough? It makes our children afraid to go to school. It makes parents afraid to send them to school, where they cannot be there to shield them from violence and protect them. They are thinking, "Can I trust my child's teacher to protect my child no matter what?" As both a parent and a teacher, would I run to my own children in the classroom down the hall or would I be brave enough and trusting enough to stay with my students and protect them? These are thoughts that none of us ever want to think, but we do. It keeps happening and it is real. How can we get children to understand that this is not the answer to difficult situations? What more can we do? The friends and family of the victims of Sandy Hook are still struggling with this tragedy every day. The only way they can cope is to spread a little kindness. They are teaching their students every day about kindness and today, they ask that we do the same. Kindness is like a ripple in a pond. It will continue to spread and effect others; someone just has to start it. How will you start the ripple? My plan this week is to teach my students about the power of kindness. How one person can change so many others with just one small act. On Monday, we will be discussing kindness, sharing picture books, and creating notes of encouragement to share with teachers all around the school. On Tuesday we will read to those that are younger than us. On Wednesday, we will be making paper hugs so that we can give others a hug to keep with them always. On Thursday, we will present teachers with a chocolate treat. And on Friday, we will share hot chocolate with our office staff! Throughout the week, we will also be showing off our kindness with this fun craft! And the great thing, is that you can pick it up for FREE at Miss Decarbo's store! I am planning on allowing the children to share different kind things that people have done for them and we are going to string them up throughout the hallway. 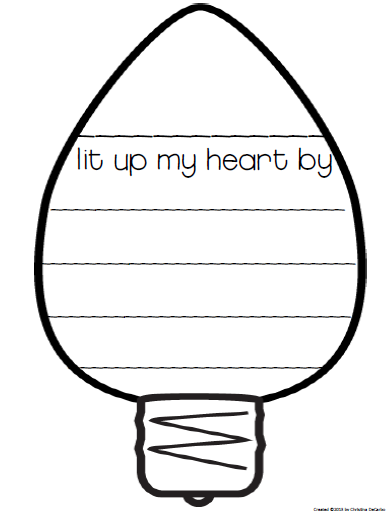 I have also shared this activity with others in my school so my hope is that we can "light up our school with kindness!" It will be a great visual way for students to see the ripple effect that one kind act can create! 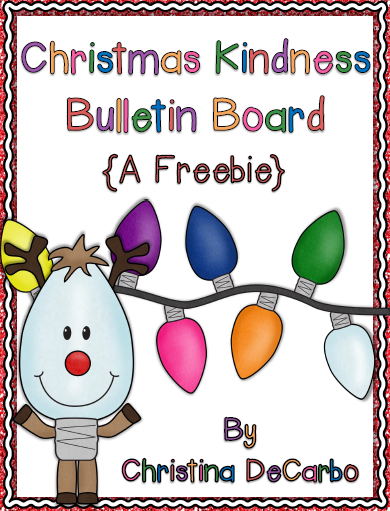 You can find many more ideas for spreading a little kindness on the Teacher's Pay Teachers Blog here! How will you be spreading kindness this week?